This entry was posted in Randy's blog entries on October 30, 2018 by randy. …he quickly gets “task saturated.” “Task saturated” was a term we used in the SEAL Teams to describe how an individual, or a team, would get overwhelmed when multiple problems were encountered simultaneously. I’m feeling a little task-saturated at the moment. Too many things to do; too many books to read. But I have just finished my synopsis handout for the very good follow-up book to Extreme Ownership. 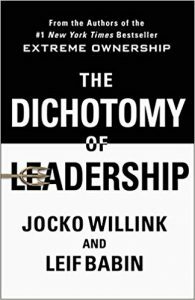 Here are just a few quick thoughts prompted by my reading The Dichotomy of Leadership by Jocko Willink and Leif Babin. (I am presenting my synopsis this Friday at the First Friday Book Synopsis, and will write my usual “lessons and takeaways” blog post one day next week). #1 – These writers are very good explainers. This is a critical communication ability. People have too much information. Information overload is very real. But we all read things we do not understand. 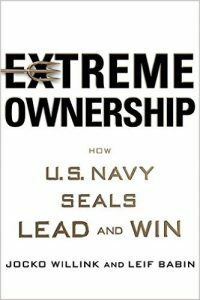 These former Navy SEALs are very good at describing and explaining what they mean. This is really helpful. #2 – Repetition, repetition, repetition. They are very dedicated to the value of repetition in training, and in work. You don’t get good at something without repeating it often, many times, over and over and over again. They will remind you of this. I’ll write more soon. 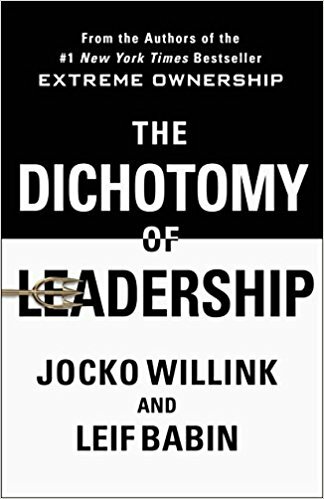 But I will make this recommendation: if you are in any kind of leadership position, or aspire to such, you would be helped by reading the two books Extreme Ownership andThe Dichotomy of Leadership. 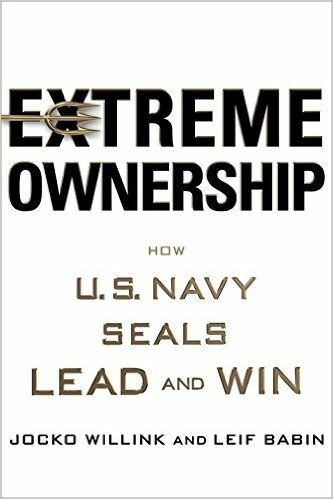 Her is my blog post on their first book: Here are my 8 Lessons and Takeaways from Extreme Ownership by former Navy SEALs Jocko Willink and Leif Babin.